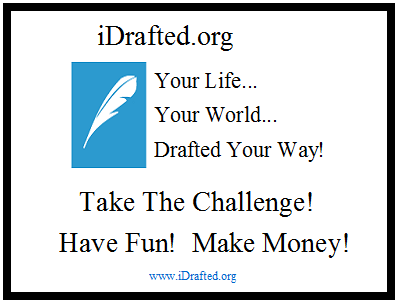 Thanks for helping to make iDrafted a reality. We appreciate all your input. Use the comments section below to let us know about any errors or lack of functionality. An "other comments" section is also provided for general comments. -add some form of entertainment. The original website engine [from iDrafted.com] is being modified slightly as iDrafted.org evolves. e.g. the engine has been mildly adapted for mobile; with a side menu that toggles, slightly updated HTML, an updated MySQL standard, etc. This post was made in the Comments on Current section but "Largely related" was unchecked and "Other - Humorous" was checked. Simple replies are active but other categories are not! Completely blank posts will now be ignored. This section (other comments) is appropriate for material that is not central to the primary topic. For example, this topic is for beta testing (error detection, functionality improvement, etc). A comment about the color scheme would be more suited for the other comments area.